The internet is leakier than a senior member of the House of Lords after a particularly late night session on the gin. The latest leak is the Mazda3, photos of which have appeared on a Facebook page in Russia for some bizarre reason. 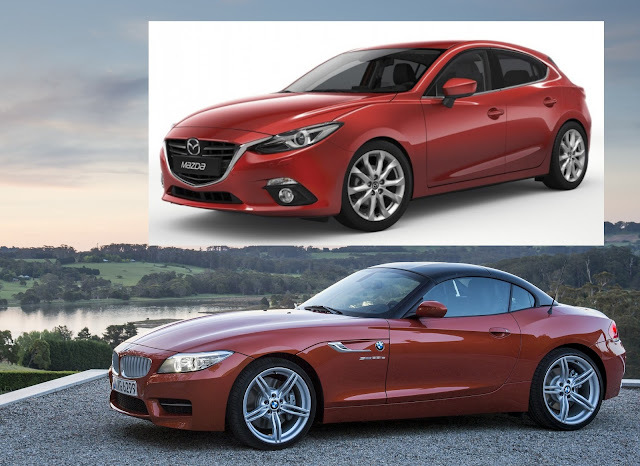 And amazingly Mazda has copied the BMW Z4 for several major design cues. If the Z4 was a beauty then this might be acceptable but it isn't and therefore neither is the Mazda3. 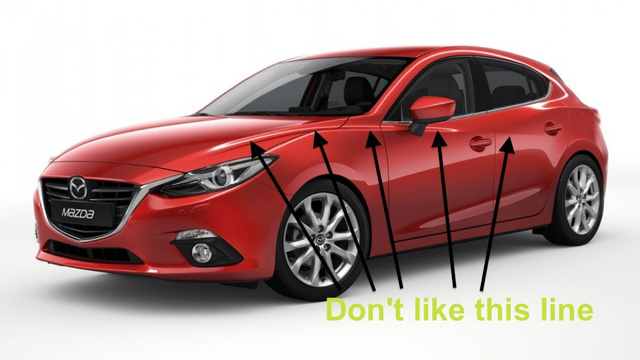 Maybe with the long bonnet and downwards and backwards sloping line (see below) Mazda have attempted to make their front wheel hatchback look like a rear wheel drive coupé. What do you think of the Mazda 3?